August means it is Back to School time (cue celebration music). School being in session completely changes the traffic patterns in Jacksonville, so there are a few things we would like you to remember. School starts in Onslow County on August 27, 2018, you may want to give yourself extra time to get where you need to go in the morning and afternoon until you learn the bus schedule. Nothing is worse than being late to work or an appointment because the school bus had to wait for a line of kids to board. After a few days, both the kids and the bus drivers will have a pretty good routine and you’ll be able to judge how the bus routes effect your schedule, if at all. While we’re on the topic of busses, please be safe and observe all laws when it comes to passing school busses. If you’re on an undivided road, i.e. there’s only a center yellow line, then you can not pass a stopped bus, ever, even if you’re in the opposite lane. Once you see the yellow flashing lights, please slow down and stop when they turn red. Once we officially start the school year, please keep an eye out in school zones for children who may step into traffic. Parents, teachers and caregivers will try to make sure their kids stay on the sidewalks and out of the roadways, but it is never a bad idea to keep an eye out anyway. It is equally important to keep a close watch near crosswalks and school zones. If the kids aren’t walking or riding the bus to school, they may be riding their bicycles. Cyclists have the same rights on the roadways as vehicles and have to follow all traffic laws. If you’re passing a cyclist in the roadway, you are required to give them at least 3 feet of space while doing so. You also want to make sure you car is in great condition once you start driving to and from school. 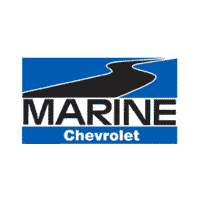 Stop by Marine Chevrolet at 1408 Western Blvd for your free Back to School 21 point vehicle inspection to make sure you car is in top shape to get you where you need to be this school year.